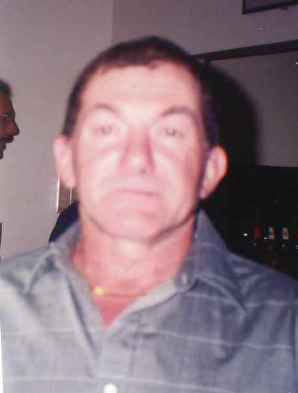 Frank C. Krizan, Jr., 67, of Green Springs, OH passed away on Friday, December 8, 2017 at Bellevue Hospital. He was born on September 9, 1950 in Port Clinton, OH to Frank and Betty (Ceccoli) Krizan, Sr. Frank was a graduate of Port Clinton High School. Frank married Amy Wickert in 1994 and she survives. He worked as a pipe fitter for Millers and then for NPL and retired in 2015. He was a member of the American Legion in Green Springs, OH and the Local 190. Frank enjoyed working on cars out in his garage. Frank is survived by his wife of twenty-three years, Amy Krizan, Green Springs, OH; father, Frank C. Krizan, Sr, Port Clinton, OH; sister Darlene (Roger) Barnett, Oak Harbor, OH; brothers, Donnie (Becky) Krizan, Port Clinton, OH, Ronnie (Susan) Krizan, Sandusky, OH and several nieces and nephews. He was preceded in death by his mother, Betty Krizan and brother, John Krizan. Offer Condolences for the family of Frank C. Krizan, Jr. I am very sorry for your loss. I will keep all of you in my thoughts and prayers during this very difficult time. Sending thoughts & prayers to you. Losing a loved one is a sad part of life. Thinking of you all at this difficult time. So sorry to hear of his passing – what a great humored guy! Loved talking to him! RIP Frankie!! Keep on trucking! We are sorry for your loss of Frank. You are in our thoughts and prayers. Amy and Frankie’s family, You are in my thoughts and prayers at this time. So sorry. He will be sadly missed by those who knew him. Ronnie & I are sending love and strength to see you all through these difficult days. We are so very sorry to learn of the loss of Frankie. So sorry to hear of Frankie’s passing. Know that you are all in our thoughts and prayers. So very sorry for your loss. Prayers sent for peace and comfort. To the Frank Krizan family. Sorry for your loss. You are all in my thoughts and prayers. God bless you all in this time of sorrow. He is in God’s hands now. RIP Frankie, you will be missed. Darlene,Ronnie&Donnie so sorry for your loss,know that you are in my thoughts and prayers. Frank may your son rest in peace. Sorry for your loss. Our thoughts are with you and your family!! Amy, I am so very sorry for your loss. Sending you a big hug! Many prayers for your family..sorry for your loss of Frankie.. So sorry to hear of your loss old friends. Thank you so much for the photos oh Frankie. Although I graduated with him, I never saw him again after graduation. I always liked Frank a lot and we were in the same circle of friends in school. I saw brothers Ron and Don a couple of times and always asked how Frankie was doing and always thought I’d catch up with him some day to reminisce old times. Guess I’ll have to wait a bit more. Let my tears mingle with yours as we mourn our friend and also rejoice in the life he led. RIP buddy.